This is the multi-user floating EAUNIFLOAT licence. For the fixed, single-user licence see EAUNI. 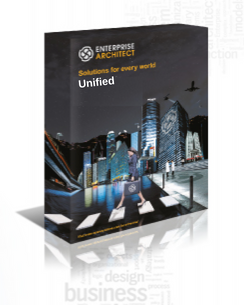 The Unified Edition of Enterprise Architect includes all the features of the Corporate edition plus features and built in tools for business/systems/software development teams working on real-time, embedded and systems solutions using UML, SysML, DDS, DMN, BPSim and related technologies. 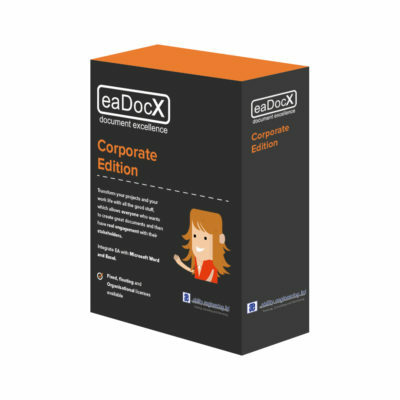 This edition is designed for the software development professional, business analyst, systems engineer, business or enterprise architect, real-time modeler, requirements expert, project manager or simply involved in the design and construction of quality software and business services. This newest edition of Enterprise Architect has the features and built in tools to help you and your team deliver the best solution possible.